The pine tree is the coniferous tree having clusters of long needle-shaped leaves belonging to the family of Pinaceae. This evergreen conifers are grown in all parts of the world, mainly constituting in the northern hemisphere has its own benefits for the people and the tree supports all climatic conditions. The seed obtained from pine tree looks small with wings, dispersed by the wind to be thrown away at a distance. There are 40 types of pine trees sound around the world, having different characteristics and use of it. The types of pine tree include Aleppo pine which is 30 to 60 feet tall and 20-40 feet wide, seen in the Mediterranean region. Austrian Pine is another type of pine tree grown in southern Europe, Northern Africa, Cyprus, and Turkey. Some other pine tree includes bristlecone pine, canary island pine, Chir pine, Coulter pine, Eastern White pine, Foxtail Pine, Gray Pine, Italian stone pine, Jack pine, Japanese black pine, Japanese white pine, Jeffrey pine, Lacebark pine, Limber pine, Loblolly pine, Lodge pole pine, Longleaf pine, Luchu pine, maritime pine, Mexican weeping pine, Monterey pine, Mugo pine, Pitch pine, Pond Pine, Ponderosa Pine, Red pine, Sand pine, Scotch pine, Single leaf pinyon pine, Sugar pine, Tanyosho pine, Tenasserim pine, Torrey pine, Turkish pine, two needle pinyon pine, Virginia pine, Western white pine and white bark pine. 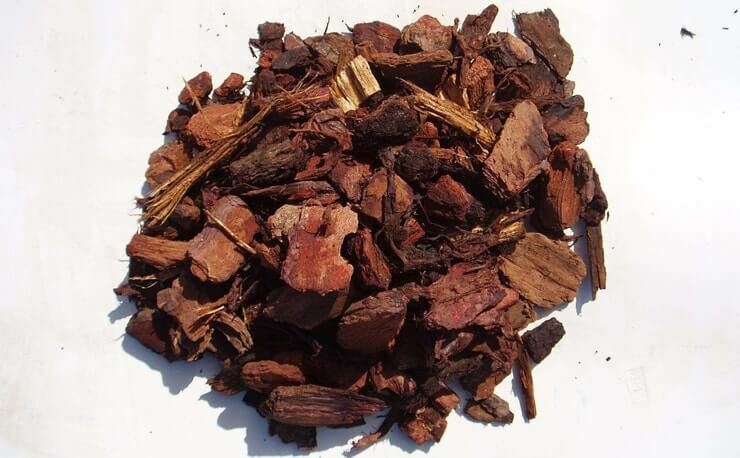 The people who suffer from stroke victims, diabetes, varicose veins, arthritis, and cardio vascular problems can be benefitted through this pine bark extract. The extraction process of this pine bark can be done in various ways. The extract comes from inner bark of Pinus Pinaster tree. As the pine bark contains flavanols and bioflavonoids which is mainly used for tissue repairing properties, these pine bark were extracted. The extract can be found in the form of a liquid, tablet or any size of capsule form involving a maximum of OPC’s (Oligomeric Proanthocyanidins). The OPC’s are a class of polyphenols mainly seen in fruits, seeds, and bark of many plants as like pine trees. For example, Pycnogenol is a type of chemically extracted from pine tree bark and it can be used as a medicine serving many purposes. The side effects can cause irritability and fatigue. It’s good to seek the advice of the physician before using this extract. The diabetes is a disease to be taken cared and treated with medicine regularly in order to lower the sugar level in the human body. It is proved that the level of insulin secretion in human determines the sugar level and the pine tree bark extraction can be used to lower the glucose level in the human body to be free from diabetes. The pine tree bark extraction helps to the blood circulation to be stabilized and increases the flow of blood from blood vessels in the tissues so that the oxygen is finely distributed to all the organs in the body. The damage to inner ear occurs by Ototoxicity affects the organ leading to hearing loss. Due to antioxidants in pine tree bark helps to reduce the symptoms of ear infection and prevent the ear loss to be occurring. The antioxidant dynamo helps protect the skin from ultraviolet rays by improving the skin barrier function and extracellular matrix homeostasis. This extraction helps reduces hyperpigmentation, reverse the sign of aging, and increases the elasticity of skin and by producing hyaluronic acid, making the skin hydrated. The pine bark extraction includes the remedy to solve impotence issues of erectile dysfunction by improving orgasmic function and reduces inflammation by scavenging the damaging free radicals. These pine bark extracts help to serve as a remedy for many problems causing human and act as good medicine for curing the health issues.